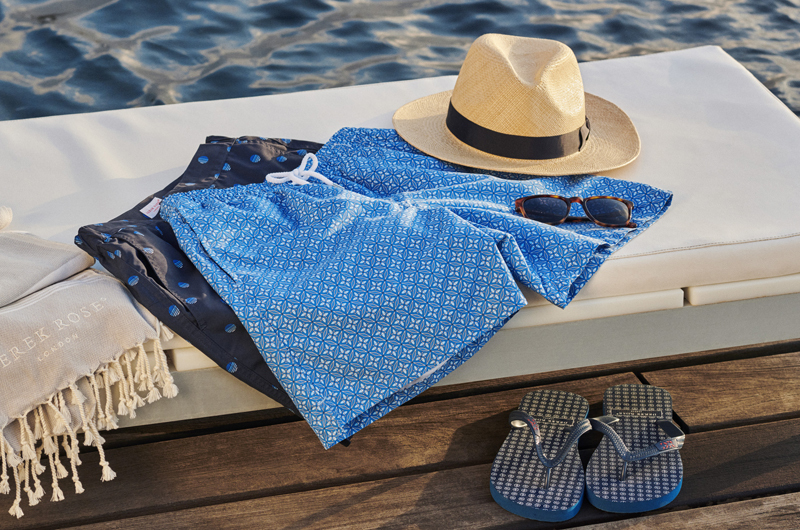 Made from 100% cotton, the bold light blue, navy blue and white stripes on the Royal 208 are woven into a satin smooth sheen on a royal blue base for a luxurious sleepwear addition. 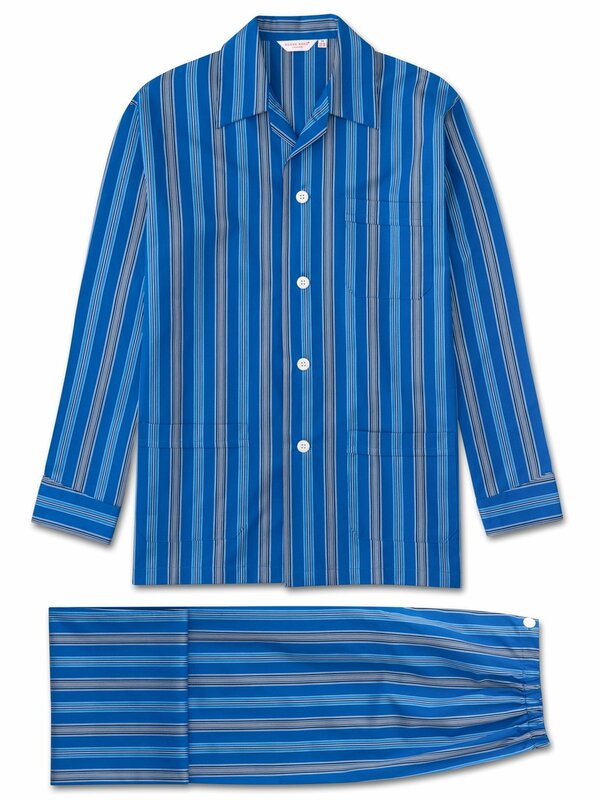 Featuring a three pocket jacket, classic collar and adjustable two button traditional fly, this classic fit pajama has a relaxed cut and elasticated sides on the pants, meaning the front and back are flat for your comfort. Crafted from a crisp, mid-weight cotton, this luxury pajama is designed to keep you comfortable throughout Winter and beyond; ideal for cosy nights in and laid-back lounging.